We begin with a visit to your home, or site, to discuss your brief in detail. We will establish who will be using the space, how long the space will be used for, what you hope to gain through commissioning the work, your budget and timescale for completion. We will then carry out an existing site survey and draw up options for the scheme. For commercial clients, where applicable, we will carry out research into your brand, your customer base and relevant competitors’ interiors. We may need to observe how the existing space is used in order to understand how design elements will function, such as lighting and electrics. It may also be necessary to provide sketches or visuals to communicate initial ideas and concepts for your approval. Once a plan has been agreed, we will produce detailed plans, elevations and sections for the construction process. A planning and building regulations application may need to be submitted at this stage. Specialist trades may be brought in to contribute to the designs, such as mechanical and structural engineers. We can assemble a project team, or we can work with your existing appointed contractor. Site progress will be monitored throughout via regular site meetings. 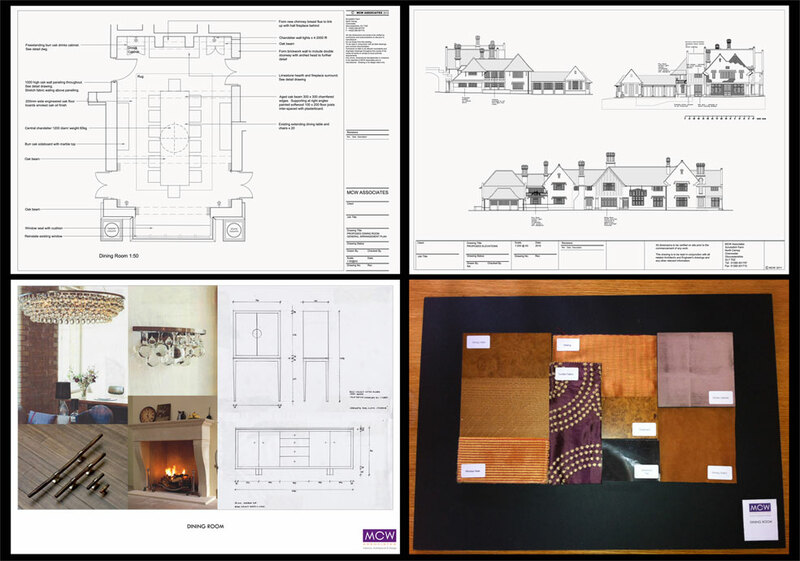 Depending upon a project’s budget, we will combine our extensive knowledge of specialist suppliers with bespoke design to produce detailed drawings of loose furnishings and fitted cabinetry. Once designs are agreed, we will instruct their manufacture. We ensure consistent high quality from our manufactures, suppliers and tradesmen. Once the construction is complete we will ensure all loose items are delivered to site and we can dress the space at your request. Our extensive knowledge of sourcing art and antiques can add the finishing touches to complete a project.